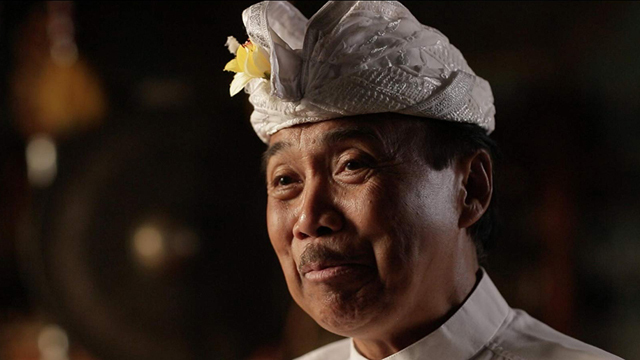 I. Nyoman Wenten in a still from the film. Judith Hill in a still from the film. From left: Executive producer Julia Gouw, UCLA Chancellor Gene Block and film director Livi Zheng at the premiere. From left: Kevan Wilbanks (UCLA International Institute), film director Livi Zheng, executive producer Julia Gouw, Nguyet Tong (UCLA Center for Southeast Asian Studies), and executive producer H.E. Mr. Umar Hadi, Indonesian Ambassador to the Republic of Korea. 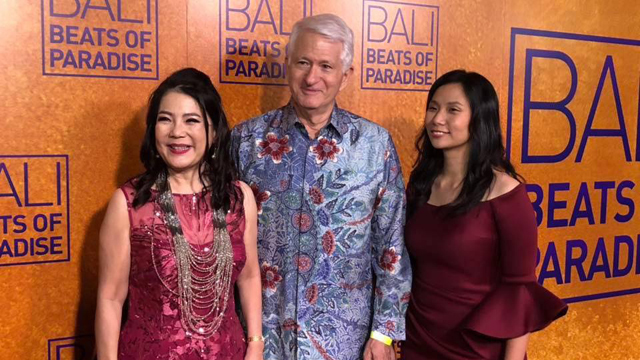 Wenten is the focus of "Bali: Beats of Paradise," which premiered at the Samuel Goldwyn Theater of the Academy of Motion Picture Arts earlier this month. UCLA November 30, 2018 — A new film on the traditional music and dance form of Bali, gamelan, received its world premiere at the Samuel Goldwyn Theater of the Academy of Motion Picture Arts on November 7, 2018. 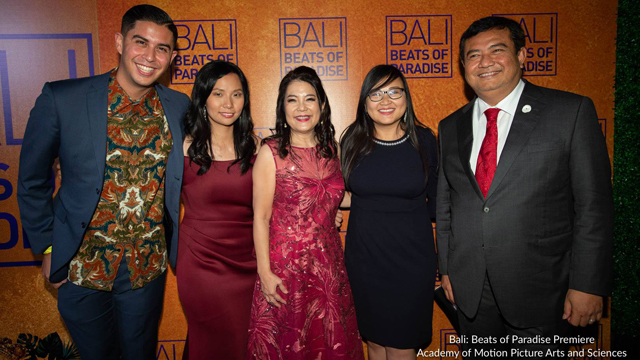 Directed by Livi Zheng, “Bali: Beats of Paradise” portrays the life and passions of I. Nyoman Wenten, professor of ethnomusicology and director, Music of Bali Ensemble, at the UCLA Herb Alpert School of Music. The film, which was funded and produced by friends of UCLA and the Center for Southeast Asian Studies (CSEAS) of the UCLA International Institute, also features Grammy Award-winner Judith Hill, who collaborates with Wenten to fuse gamelan music with classic funk in the film.